A little over three (3) years ago, when we first started FlatSixes.com, we were one of just a few online resources dedicated specifically to Porsche (excluding the well known forums of course). 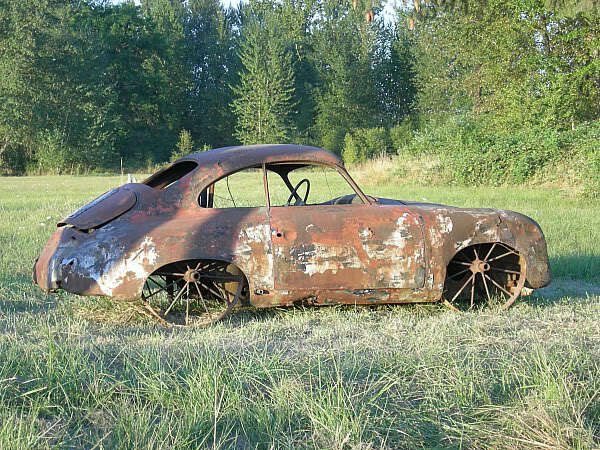 Since then we've seen more Porsche sites than we can count pop into existence. Most of these new sites have either disappeared or were left unattended and uncared for; rotting, rusted hulks, in this giant field we call the internet. "Excellence continues to thrive as the most widely read independent Porsche magazine in the world. While the internet cannot supplant the printed magazine, it has become an important resource with a rapidly growing audience. Excellence is making a substantial investment in upgrading its website and will be featuring a large amount of content from past and current issues of Excellence. Just as Excellence is the most popular Porsche magazine in the world, we plan to make excellence-mag.com your favorite Porsche resource on the web." Your favorite? Okay that might be a bit of a stretch, after all we're your favorite. 🙂 Seriously, there's a ton of room in this market for everyone (as we Porsche owners are so damn passionate) and Excellence is easily the leader. If one day PorschePurist can be looked on as the "Excellence" of the web, we couldn't be happier. What are your 5 favorite Porsche Resources? *We are not affiliated with Excellence Magazine in any way (although we think we would make great friends). We just think they are one of the better Porsche magazines available in the US! Thanks for the mention! And your site IS one of my favorites. Thanks too for bringing up the Excellence site. So often magazine sites barely support their stellar print efforts. Didn’t even know the Excellence site had grown to that point. Guess I know where I’ll be spending my afternoon!